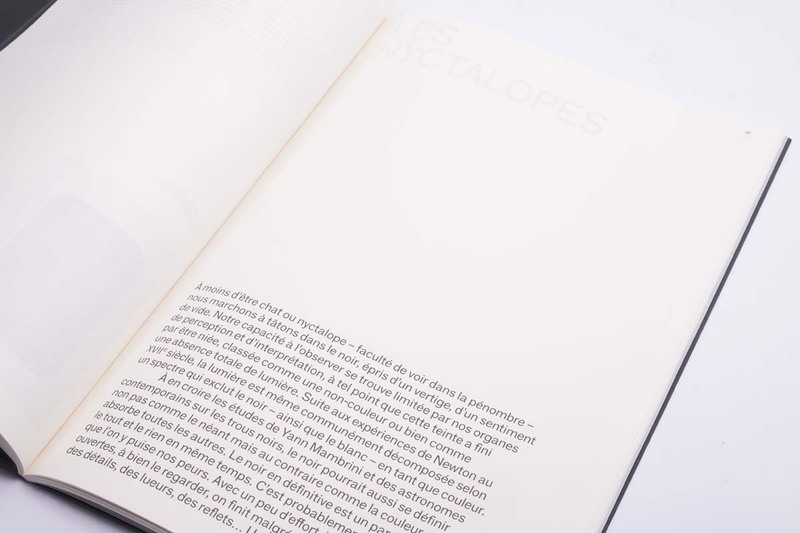 Client: Galerie Poirel / My monkey. 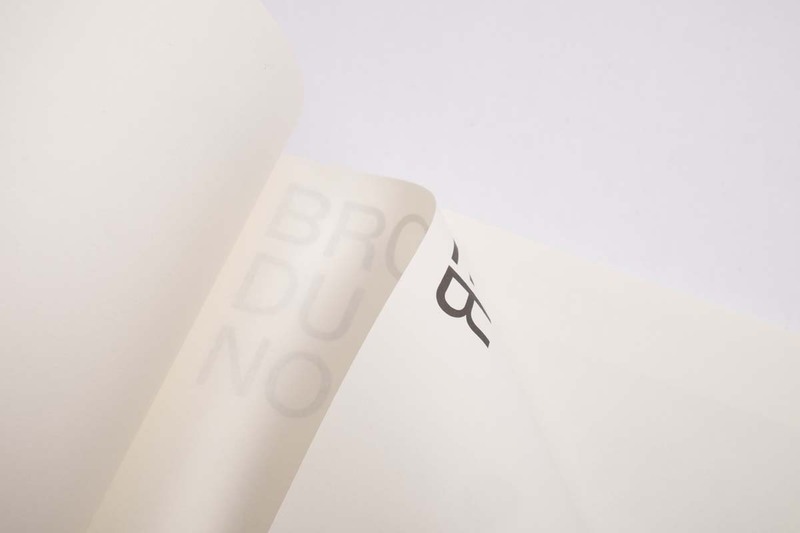 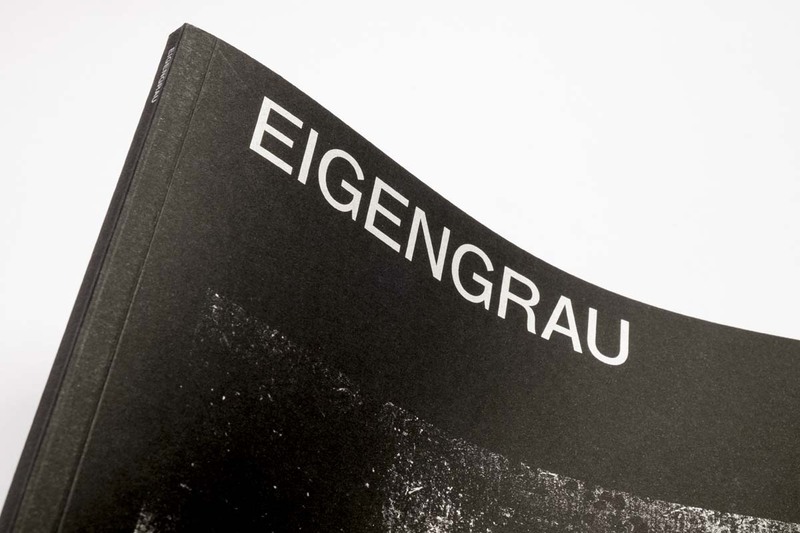 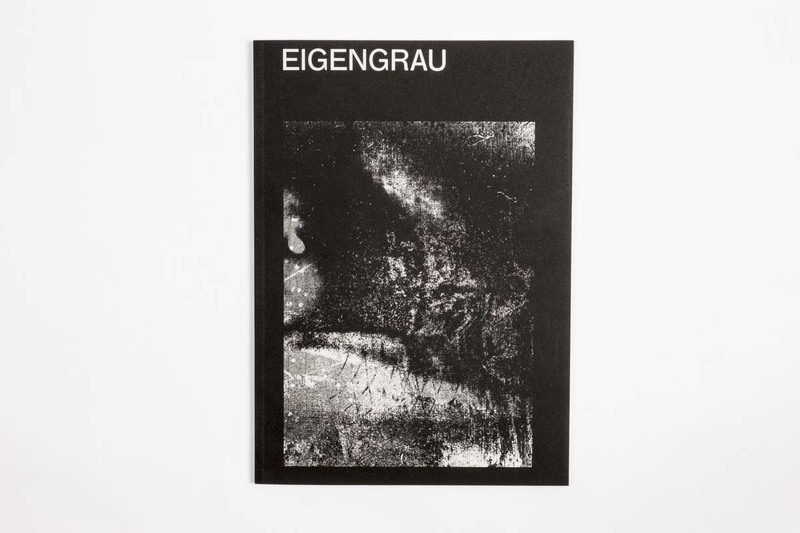 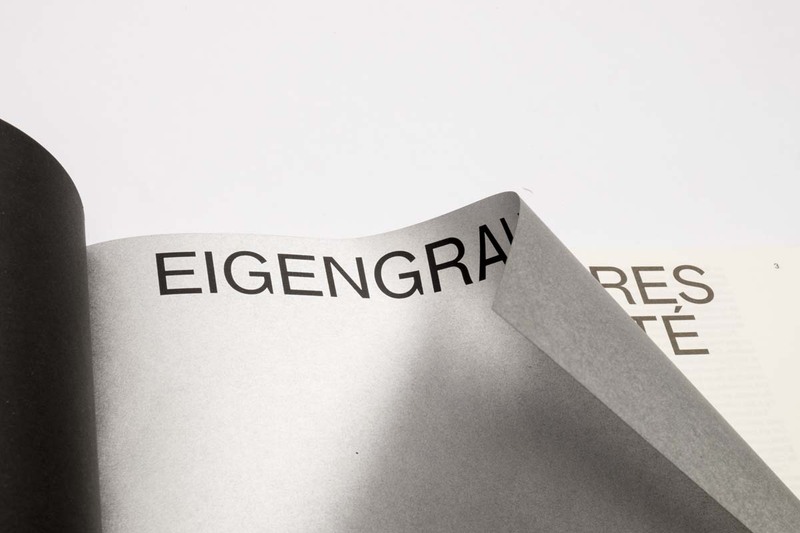 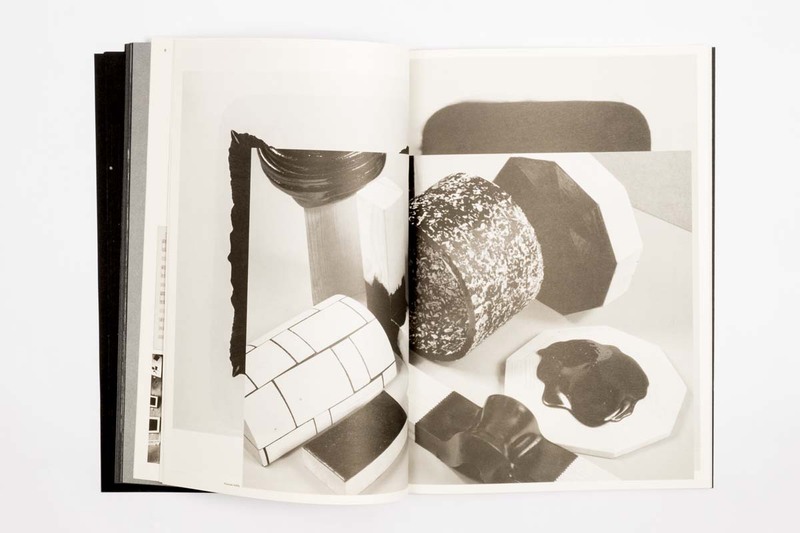 Catalog for the collective Exhibition « Eigengrau », it’s all about black, it’s all about perception. 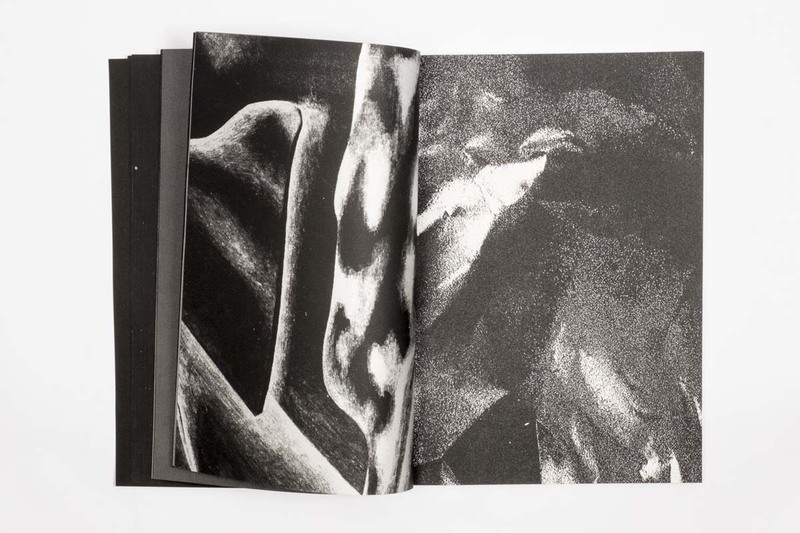 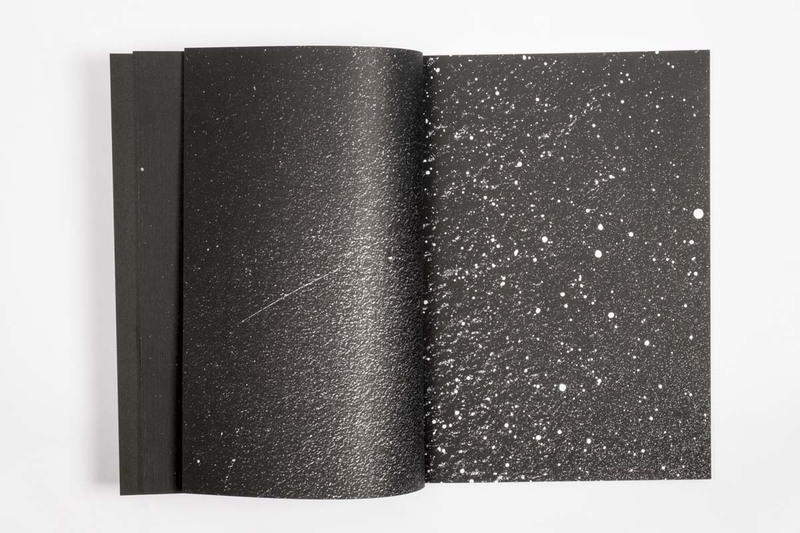 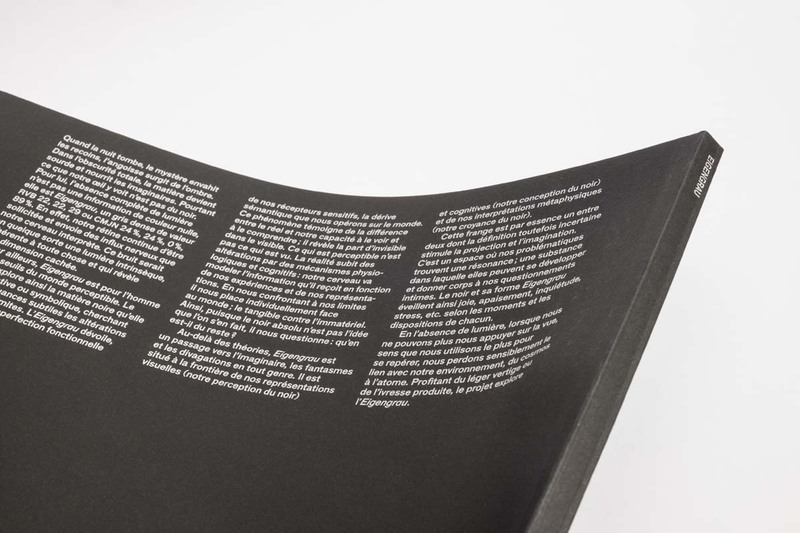 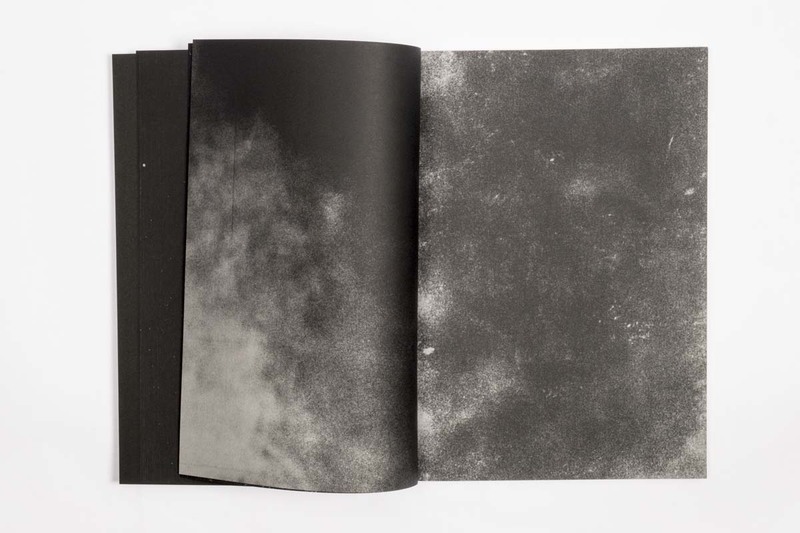 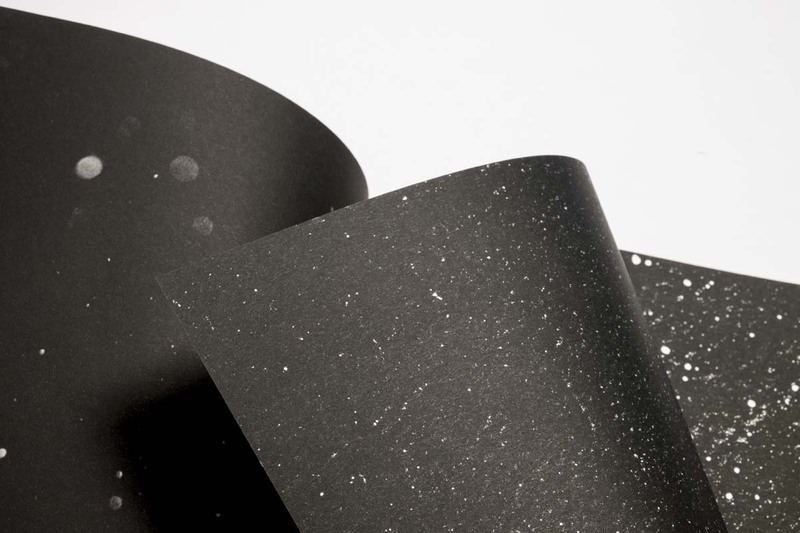 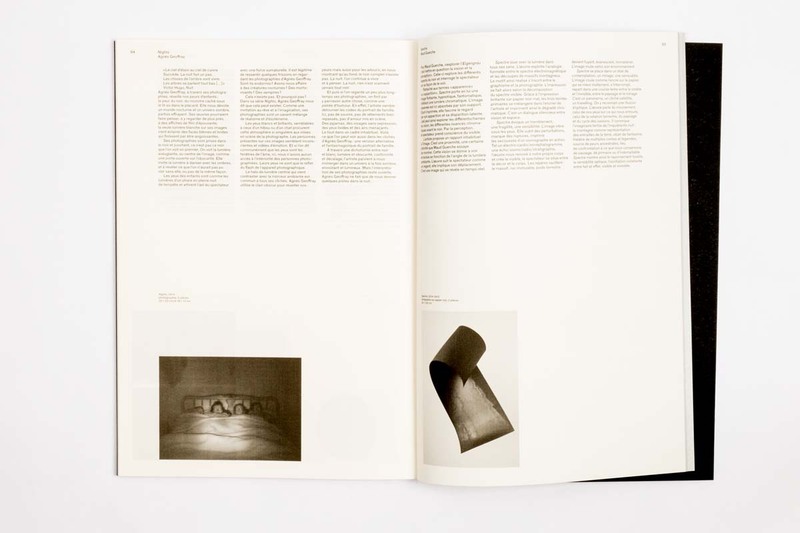 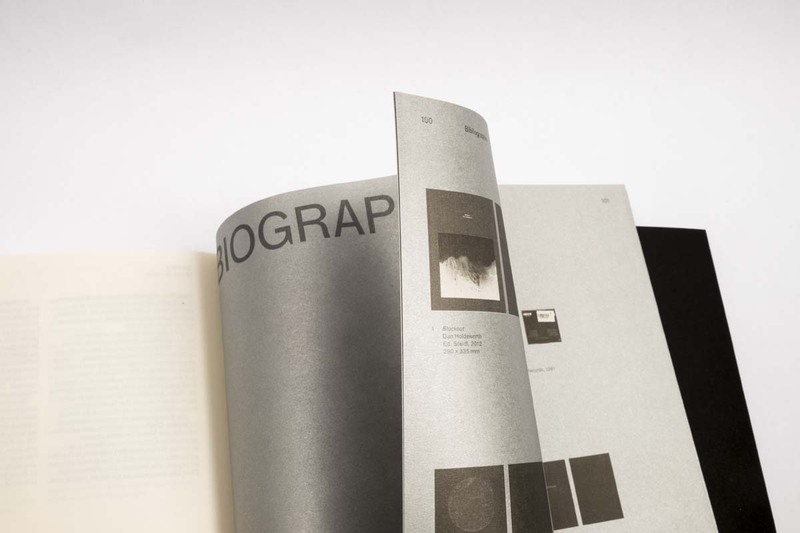 The first leaflet of the book is a metaphor for a black hole, it’s a serie of dark pages with silver printed samples of each masterpiece of the exhibition. 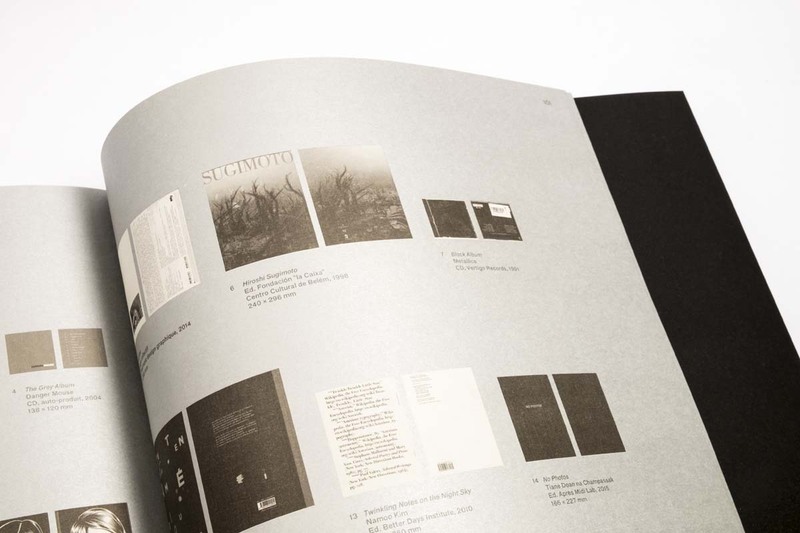 The picture on the cover is the compilation of all the art samples. 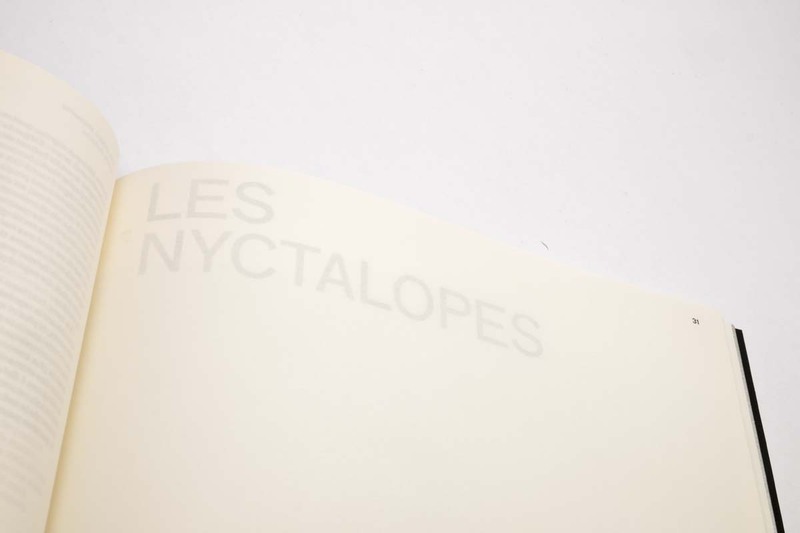 The title section are printed on the back of the sheet of paper and is only visible by transparency. 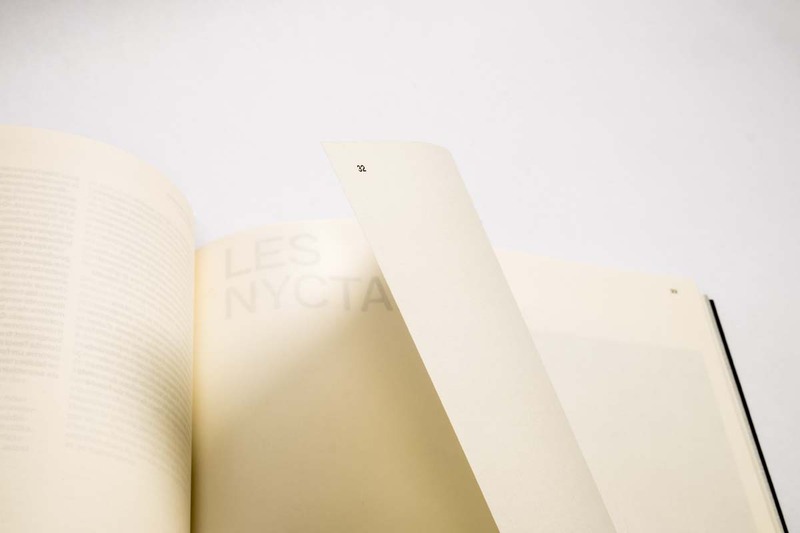 In collaboration with Frédéric Rey and Thomas Bouville.